On March 8, 2018, CLP alumna Purnima Devi Barman received the highest civilian honor for women in India – the Nari Shakti Purashkar 2017. 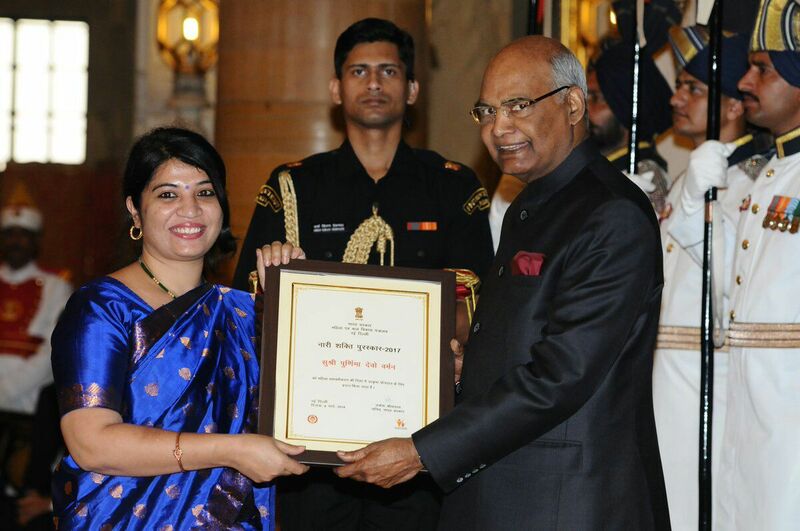 This “Woman Power Award” was presented to her by the President of India, Shri Ram Nath Kovind. Purnima received this award in recognition for her to work to conserve the Endangered greater adjutant stork in Assam, India. 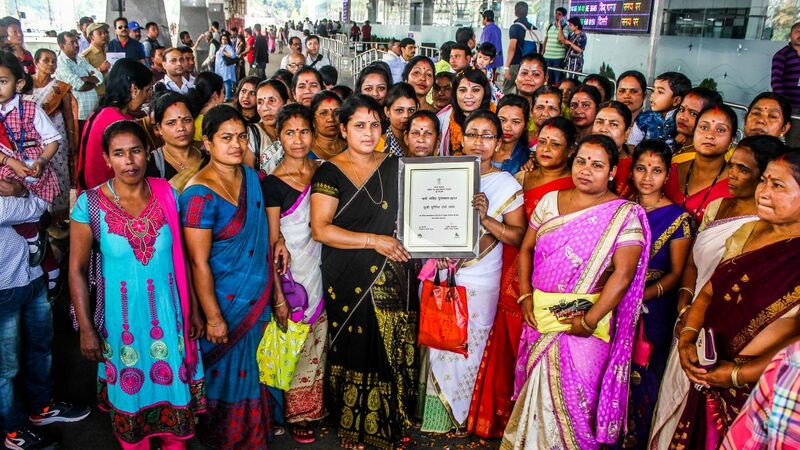 Purnima dedicated this award to the more than 200 women who are working to conserve this stork, locally known as “hargila.” She states that “this award is the best acknowledgment for the communities engaged in hargila conservation.” As an additional source of income, the women of the “Hargila Army” weave stork motifs onto traditional Assamese linen items such as tablecloths and scarves and other items of clothing. Purnima will use her prize money (approximately $1,500) to buy materials for the women so they can weave hargila motifs in time for an upcoming festival. Purnima received three CLP awards (2015, 2012, 2009) to continue and expand efforts to conserve the greater adjutant stork.